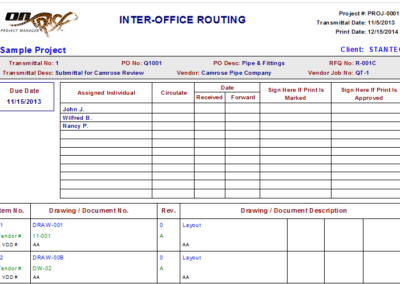 Capture all the information you need through our Document Control Module. 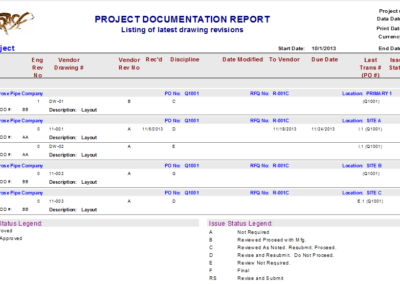 Covering the areas of document submission and drawing control, its powerful features give the project team proper control over vendors as well as instant visibility into the status of their drawing packages and other important project documentation. OnTrack bridges the gaps among various storage systems and locations by logically linking to your existing file systems. 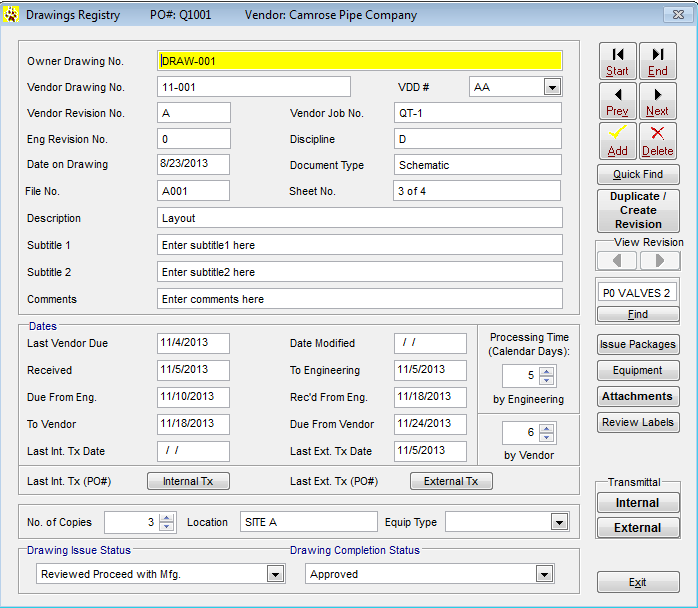 This brings you the flexibility to adapt to whatever systems are in use. 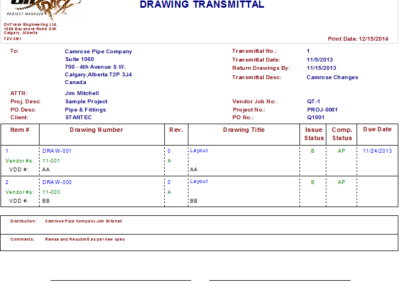 You can track and report on drawing statutes, codes and histories while managing your transmittals in a methodical and systematic way. 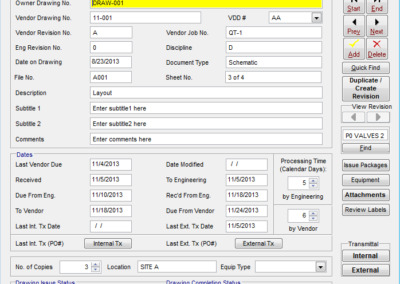 With OnTrack Document Control you will experience new levels of efficiency in tracking all project documentation, bid submissions, client turnovers, vendor documentation, deliverables, and other important files. 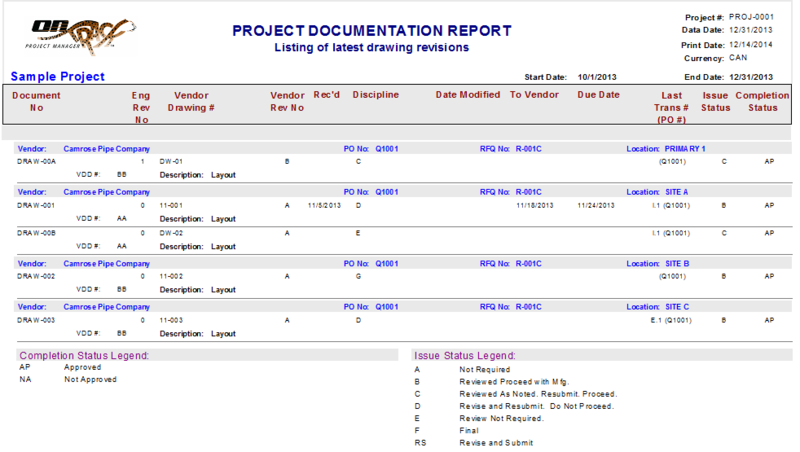 Organized by requisition and PO, OnTrack will help you through the design review process with extensive transmittals and the power to create meaningful reports for the team. 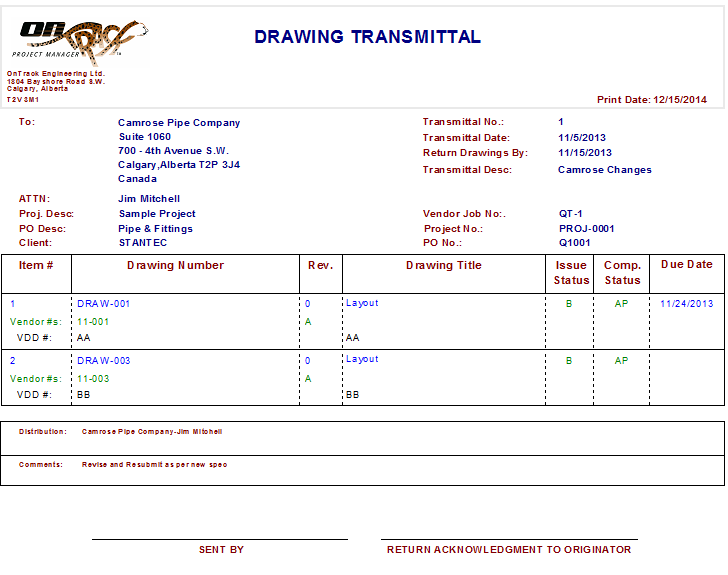 You can enter information on the fly or use our templates to quickly import hundreds of drawing records into the system. 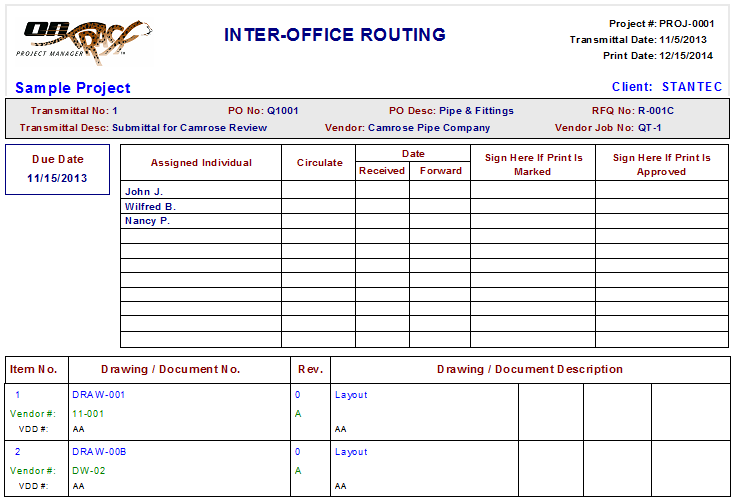 One of its best features is that it is file-system-agnostic, so it links logically to multiple systems.